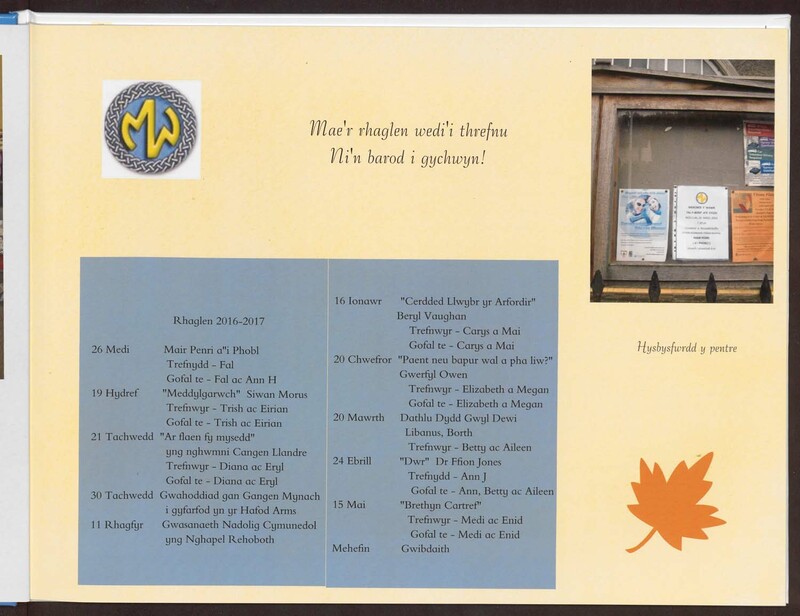 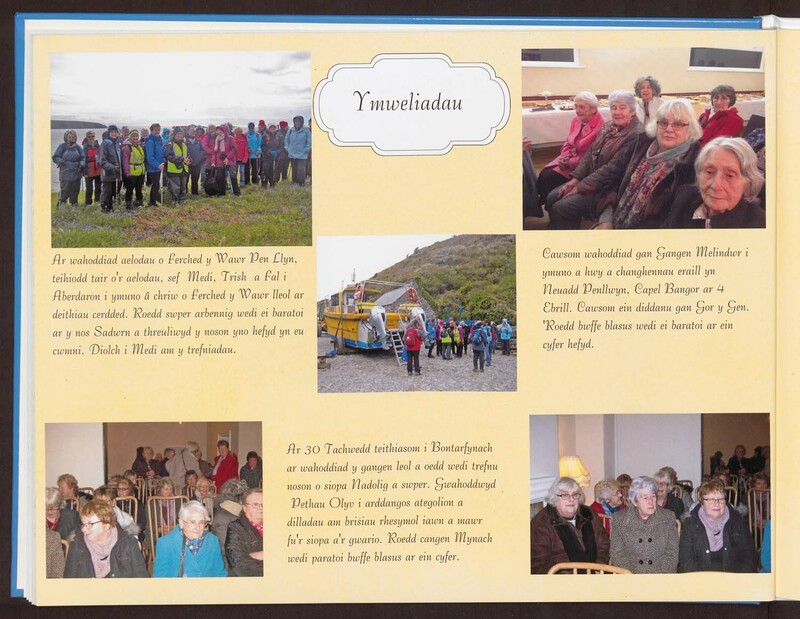 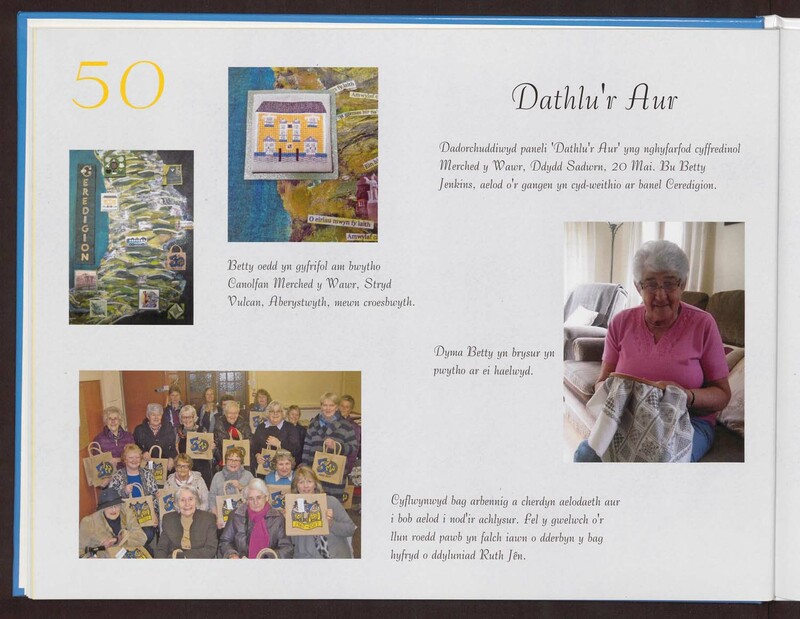 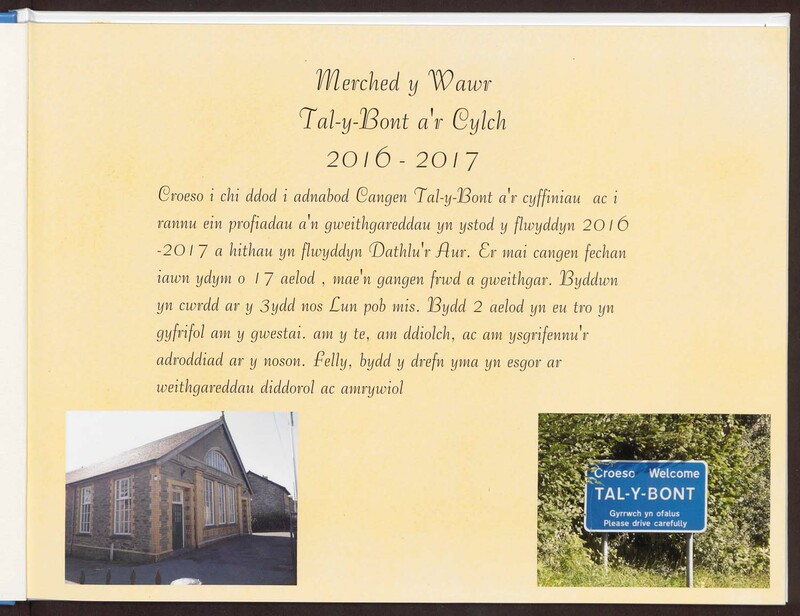 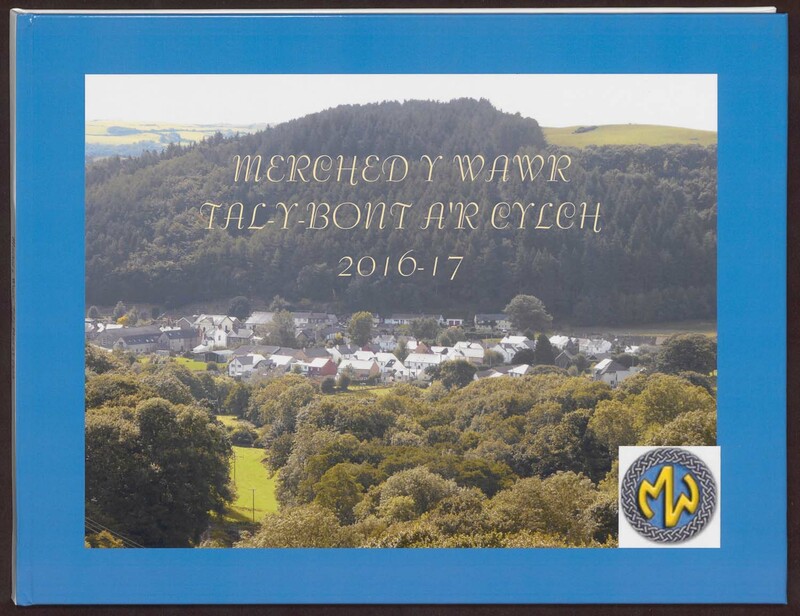 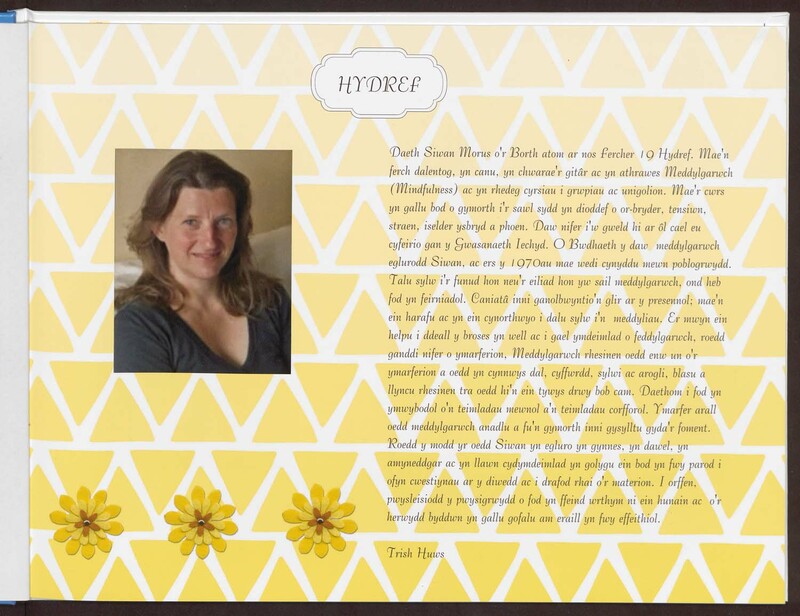 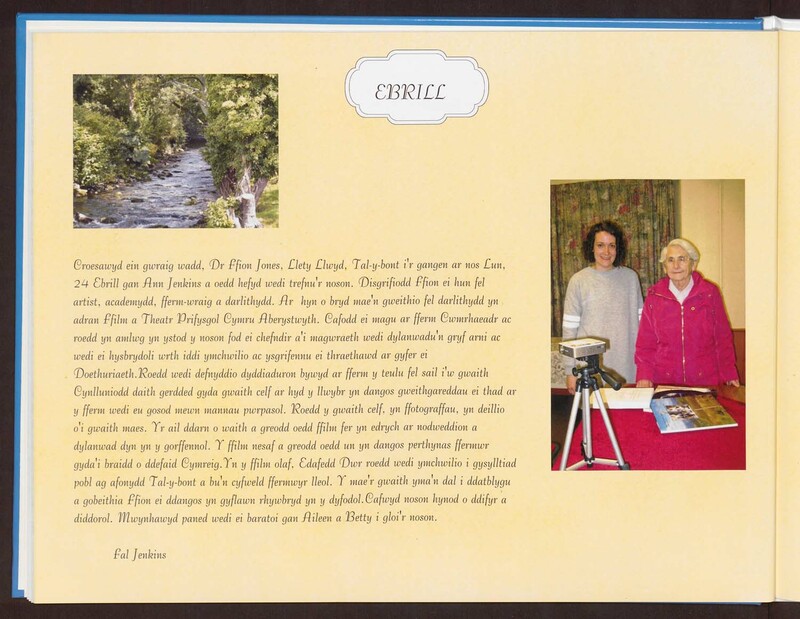 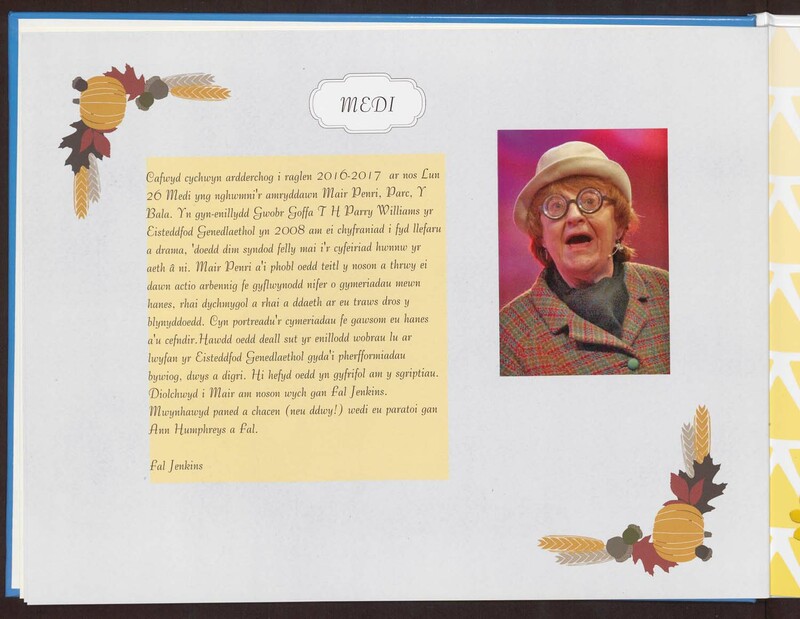 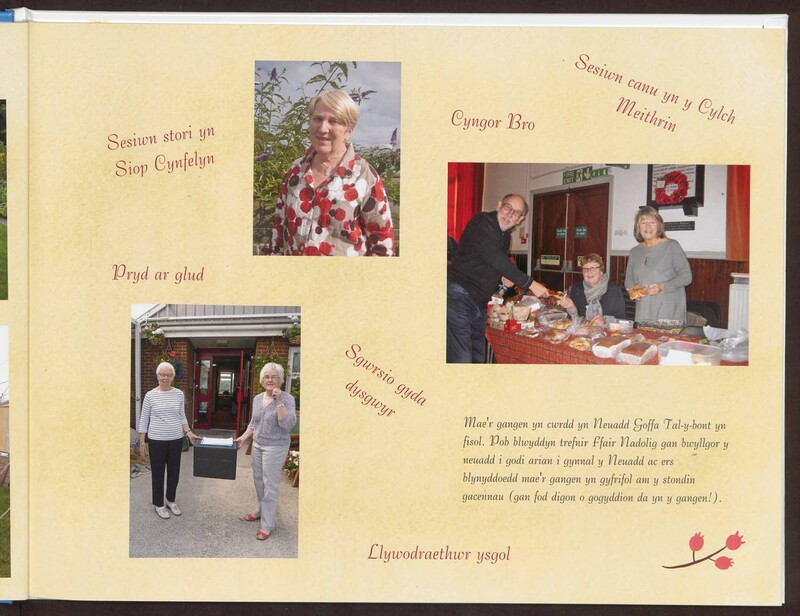 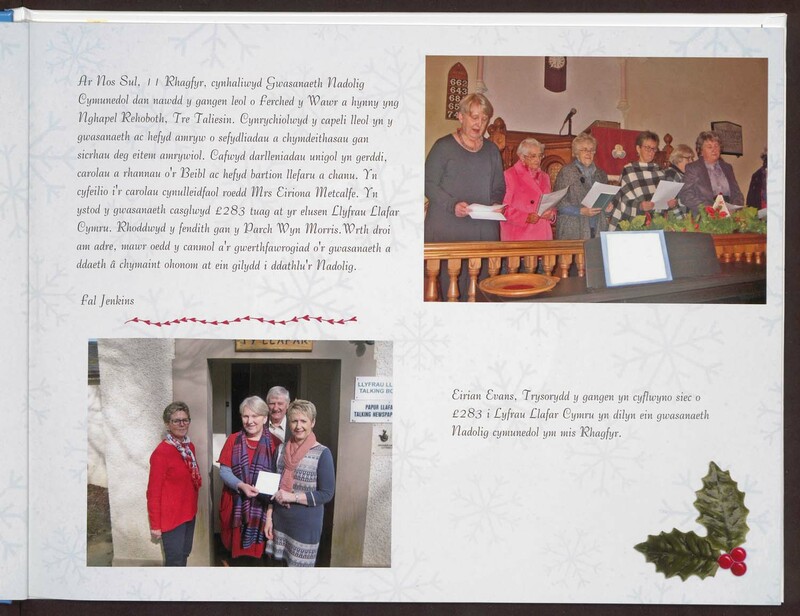 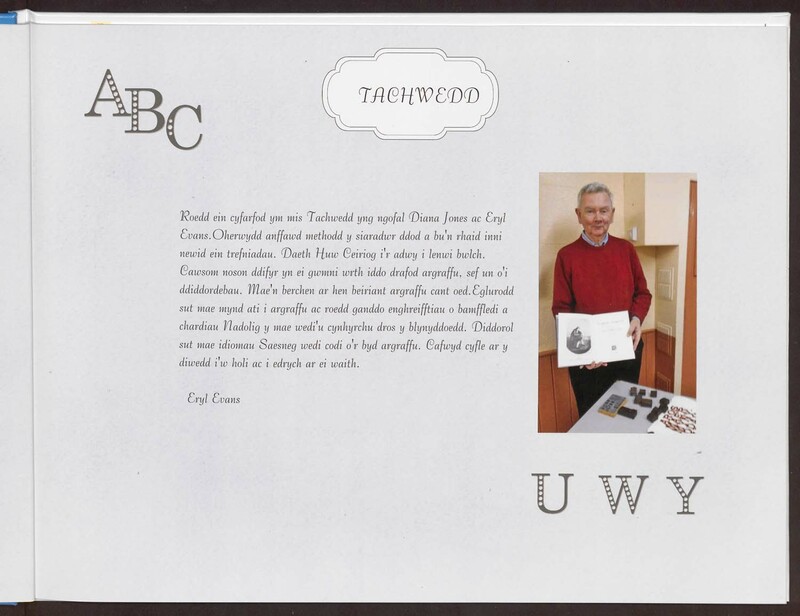 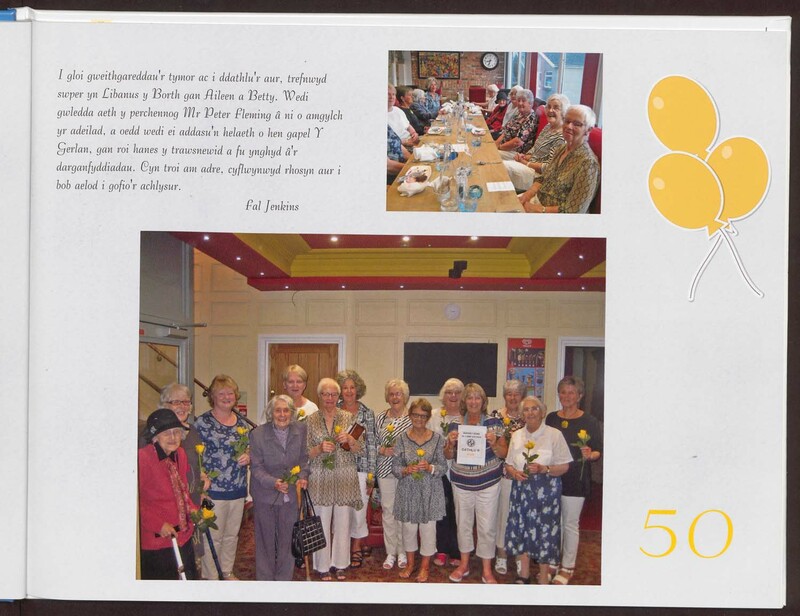 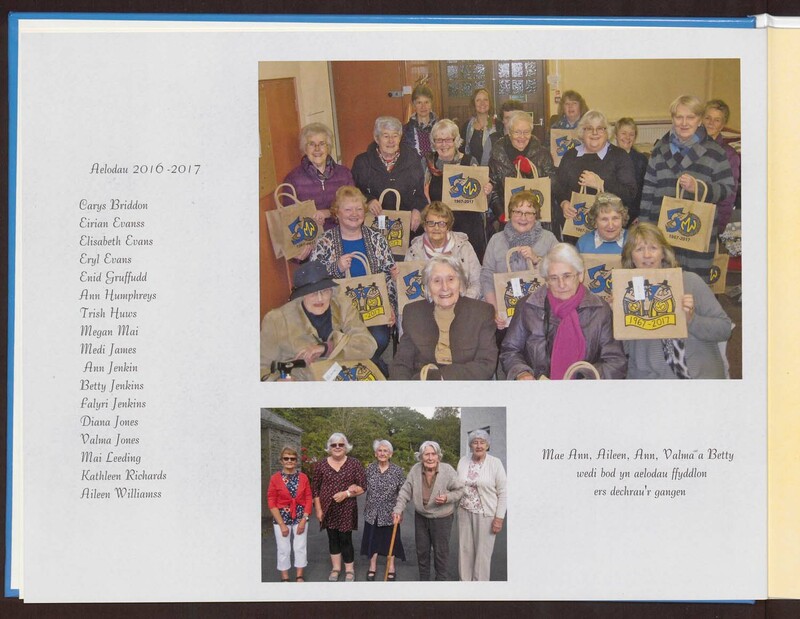 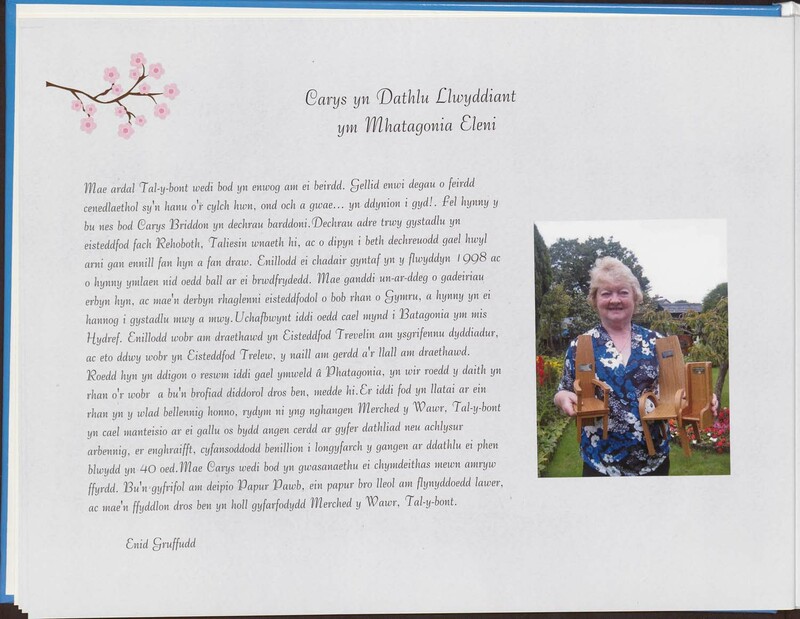 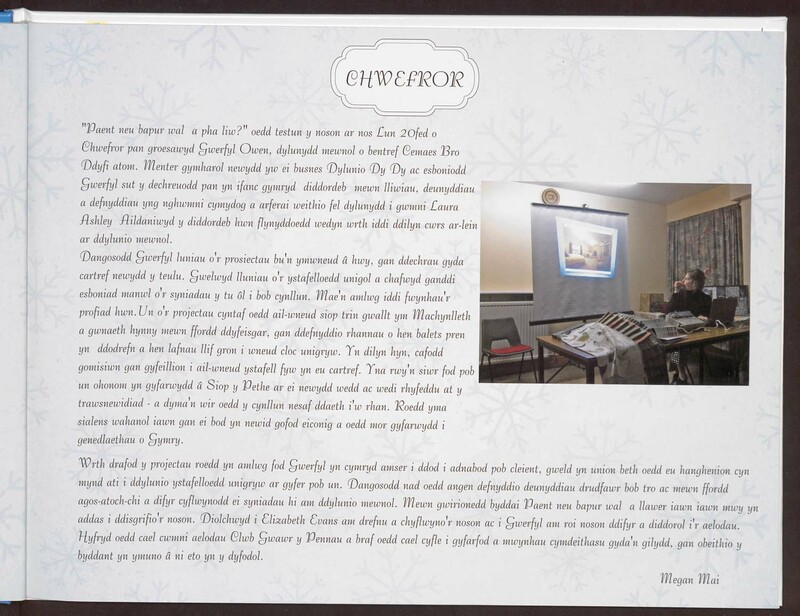 In 2018 Merched y Wawr held a "Celebrating the Gold" competition and members were asked to create scrapbooks. 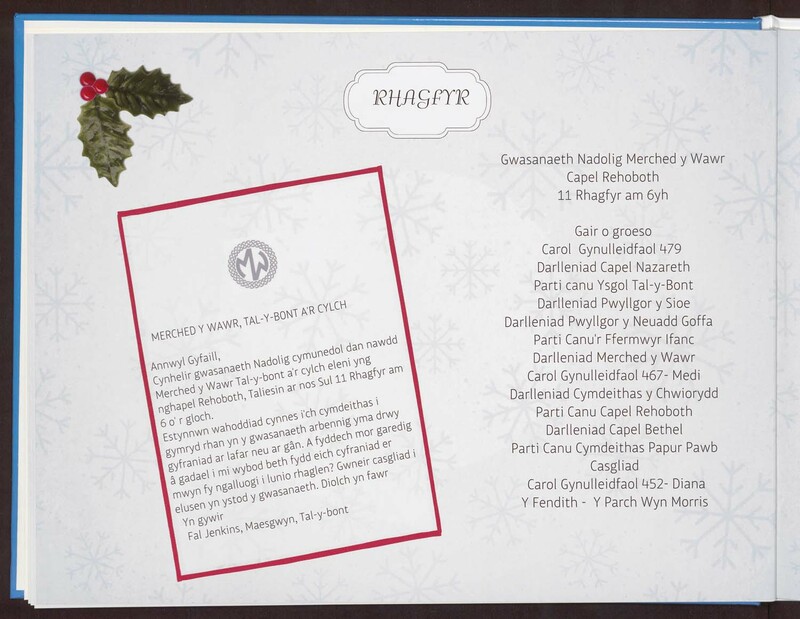 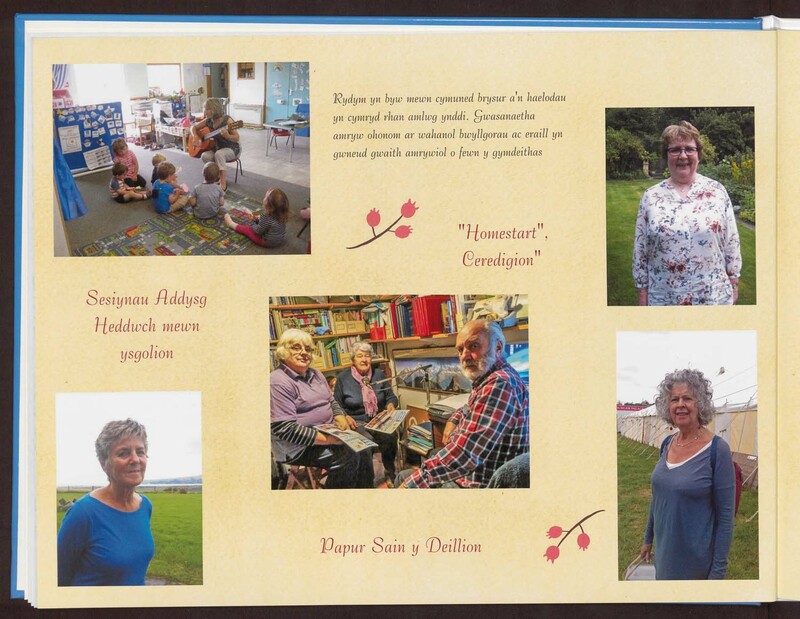 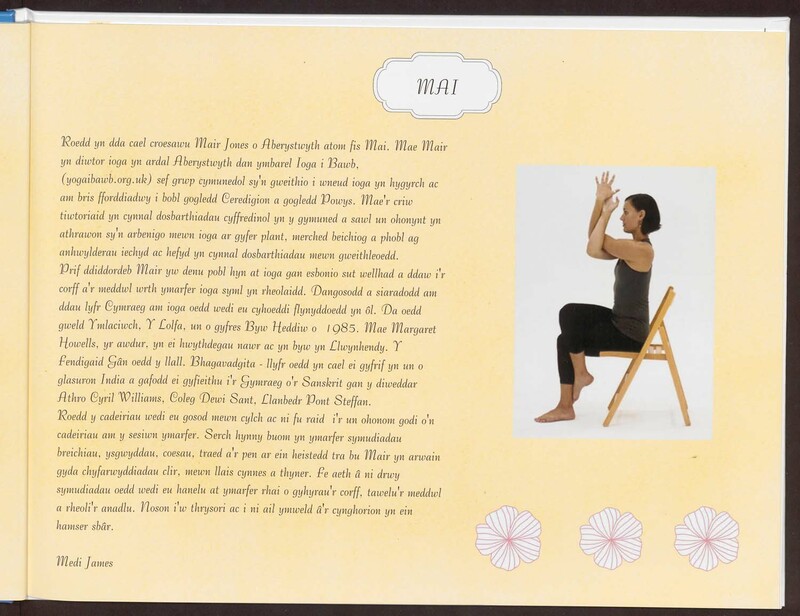 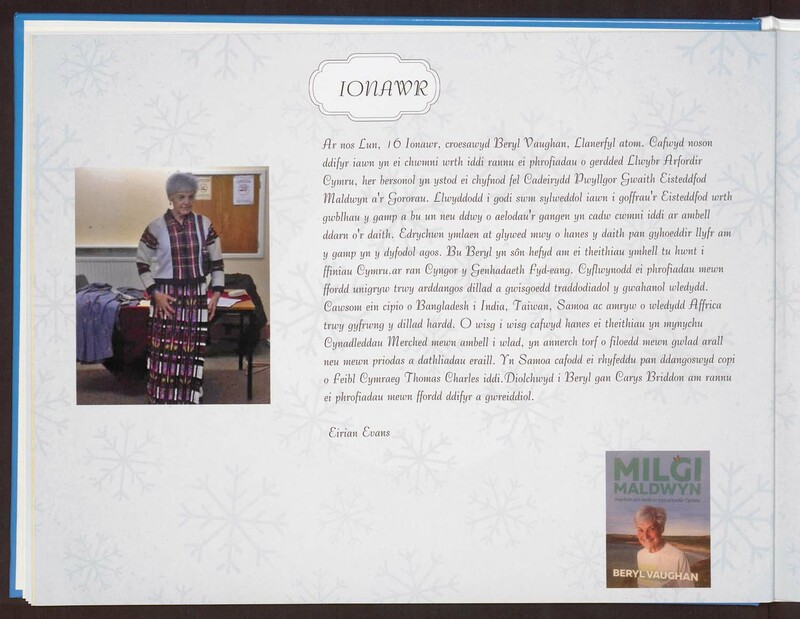 There were 40 books in and three judges were Sian Lewis: Awdures, Meleri Wyn James; Gwasg Y Lolfa, Lona Mason; National Library of Wales, choose the best. 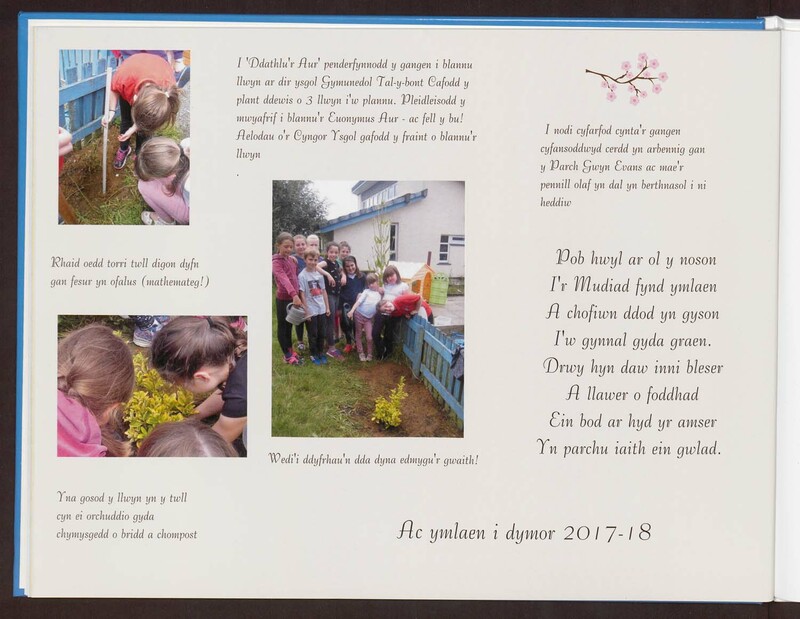 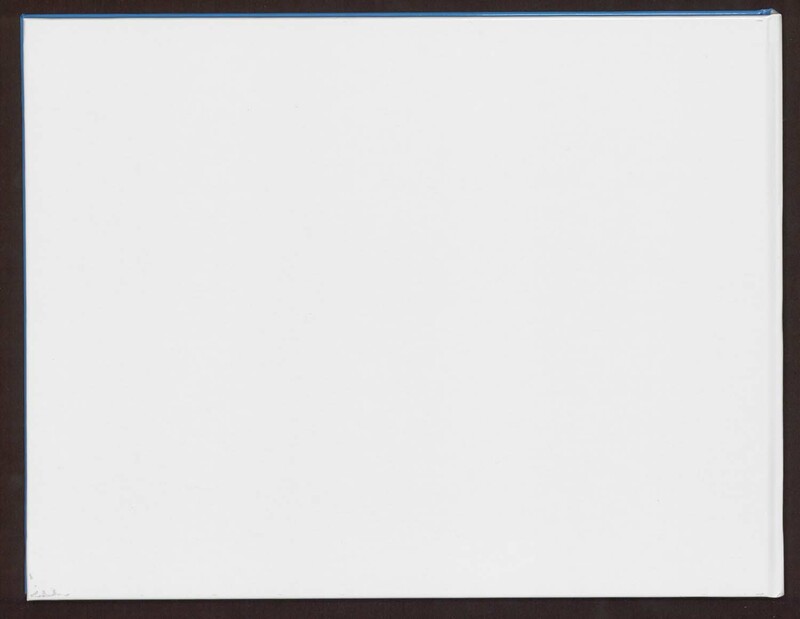 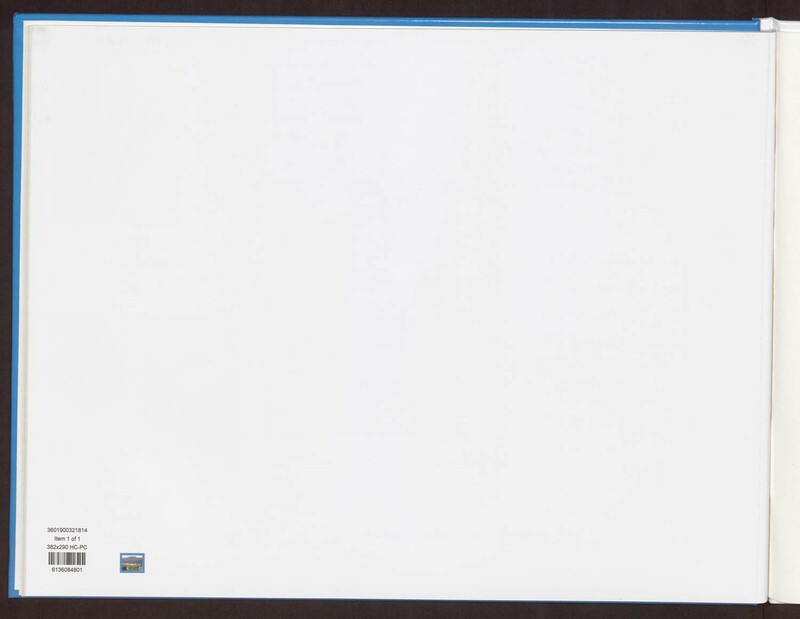 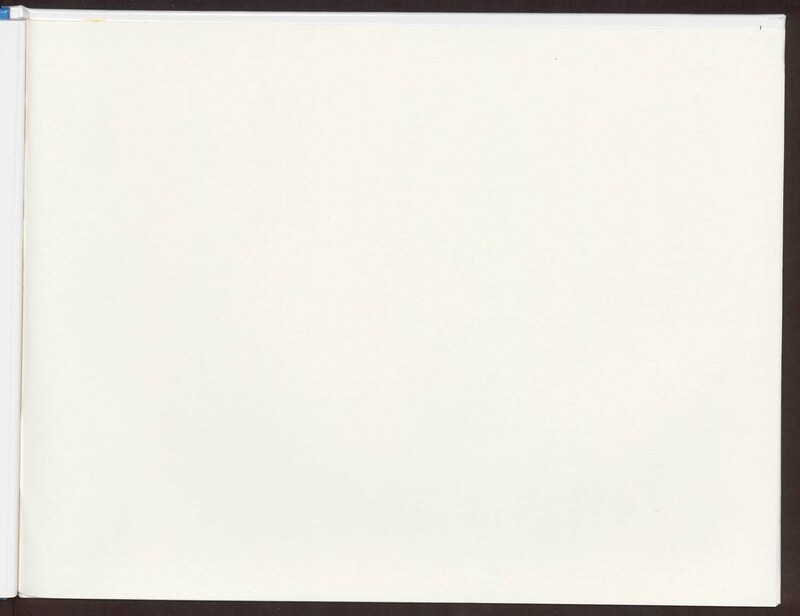 First, Bryncroes Branch, Dwyfor, in equal second Lampeter, Ceredigion and Golan, Dwyfor and equal third Ffynnongroes, Pembroke, Whitland, Carmarthen and Llanfair Dyffryn Clwyd, Glyn Maelor. 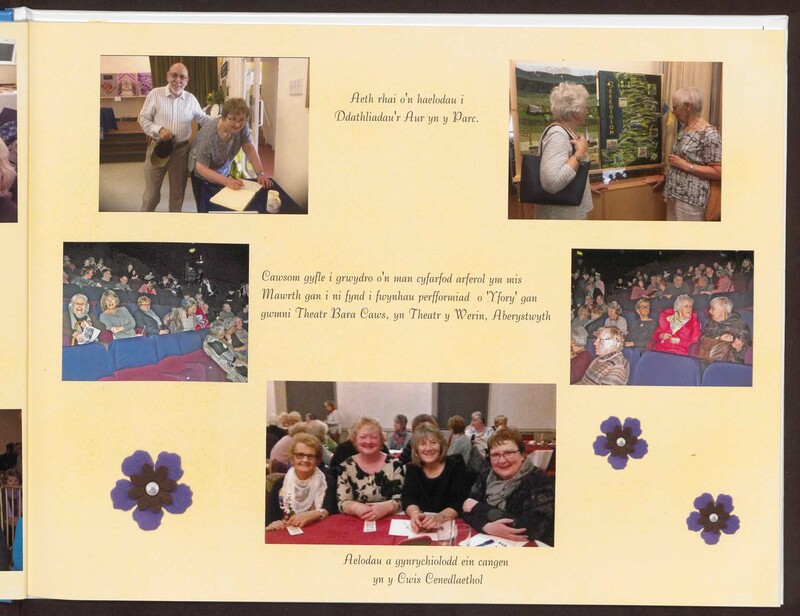 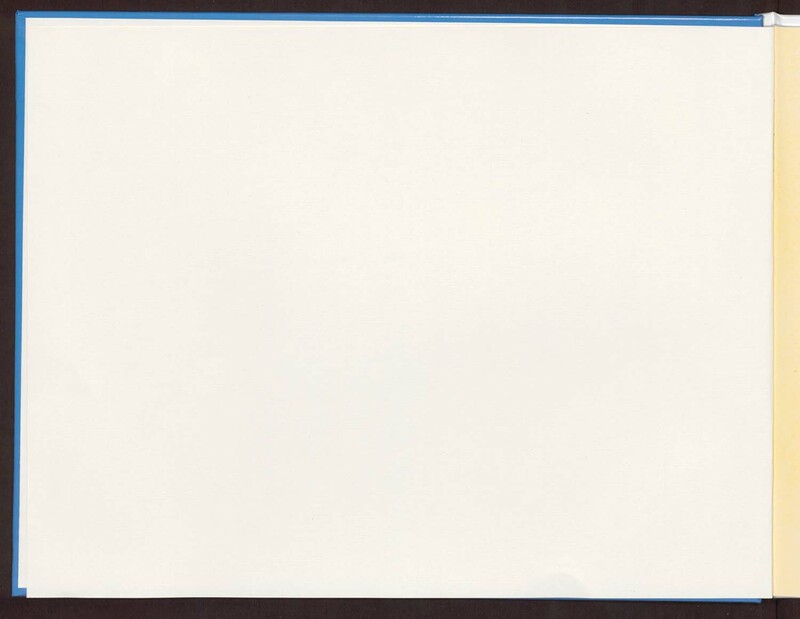 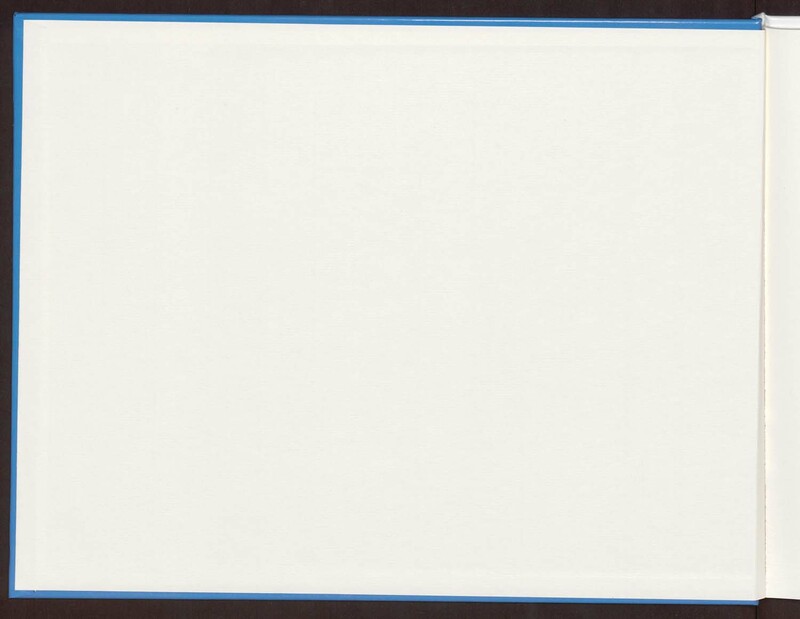 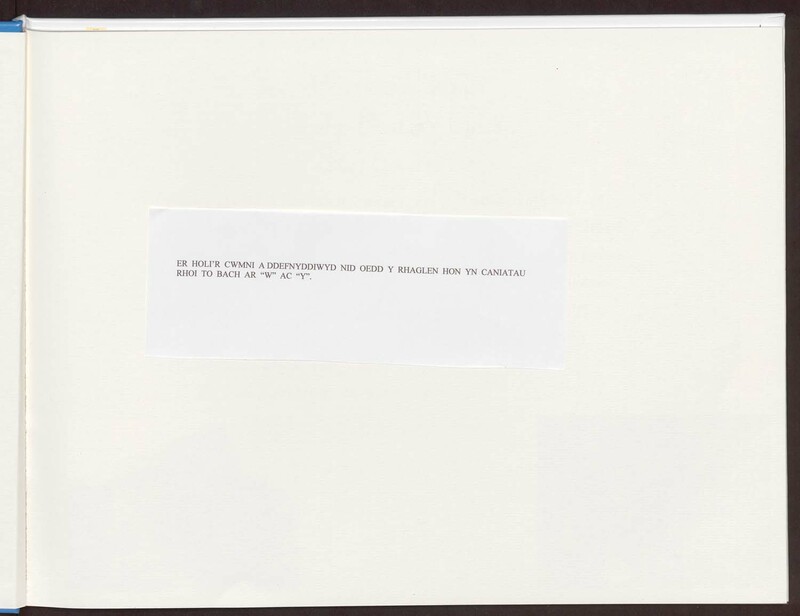 Thanks to everyone who took part in collecting and summarizing the history.